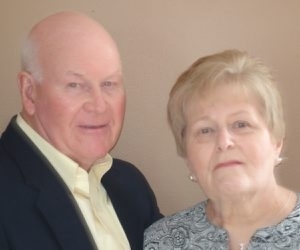 Mr. and Mrs. Anthony Wawrzynski of Hartland celebrated their 50th wedding anniversary. A family gathering is planned for a later date. Mr. Wawrzynski and the former Christine Tucholka were married April 25, 1964, in St. Elizabeth’s Catholic Church in Buffalo. He is a retired service technician for ADT/Tyco, with 38 years of service. She is from Catholic Charities of Buffalo, with 20 years of service. They have three children and 11 grandchildren.